Here are a couple of small teacher gift ideas! 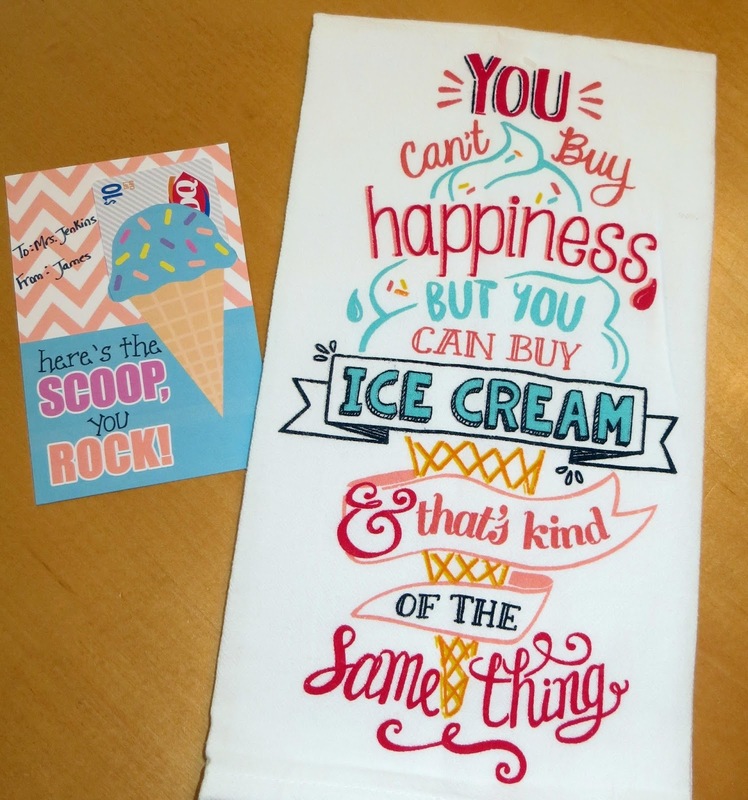 I found this cute handtowel at Walmart and got a Dairy Queen gift card to go with it. I got the adorable printable gift card holder from the "TotallyPixelicious" store on Etsy (buy here). 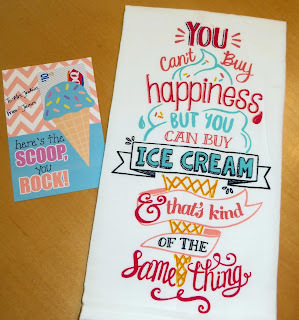 Then, I put it all together for a fun summer gift! I made these cute little jars for all the "extra" teachers at our school. They can be used for pencils, rubber bands, paper clips, whatever! I bought the jars at Hobby Lobby, added a vinyl monogram, and tied on a fun tag! I used different fonts for the monogram depending on how the letter looked and if it was for a man or woman. I used Whackadoo, Gabriola, and Nearly Dignified fonts. Easy and practical!